Brian May has hinted that the legendary rock group Queen will be returning to the road in a brand new world tour for 2014. This will not only be an exciting time for all Queen fans, but a relief to see May recovered after both a back injury and a cancer scare in 2013. There is no report that bassist John Deacon, who retired in 1997 after a final performance with Queen and Elton John, will be returning with the group. May also added that the Freddie Mercury biography is once more moving forward after comedian Sasha Baron Cohen left filming due to creative differences. 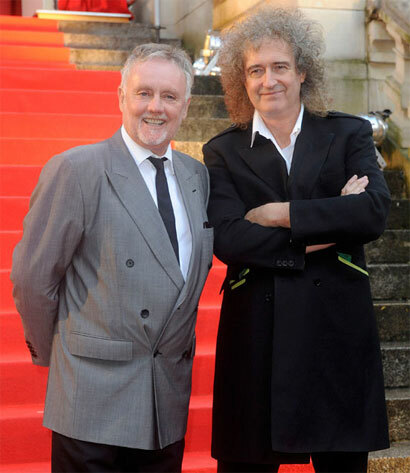 May and drummer Roger Taylor are also still working alongside the Queen musical ‘We Will Rock You’ which is currently touring the US, as well as ‘The Queen Experience’ tribute band which they created. There are also plans to release a new Queen album this year which includes three tracks with Freddie Mercury on vocal, writing on his official blog May added, “Some Queen magic is happening… I feel it in my bones. It's annoying to have to be so secretive, but I guess I have to, for now. What I can say is the track we dusted off today has the four of us, Freddie, John, Roger and myself, playing together on a track we'd forgotten about that was never finished.” The band’s 15th, and final album ‘Made In Heaven’ was released in 1995, four years after Freddie’s death.